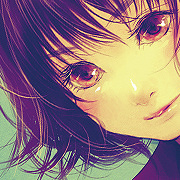 Send "shiho ENTA" a message! Send "shiho ENTA" a request! I am an illustrator. 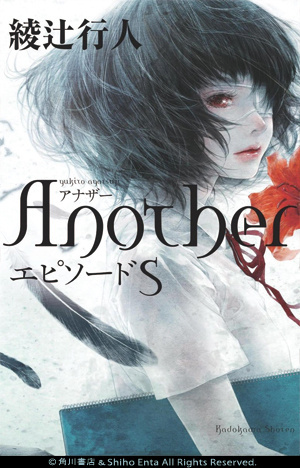 I have designed many book covers starting with “Another” (Yukito Ayatsuji / Kadokawa Shoten). 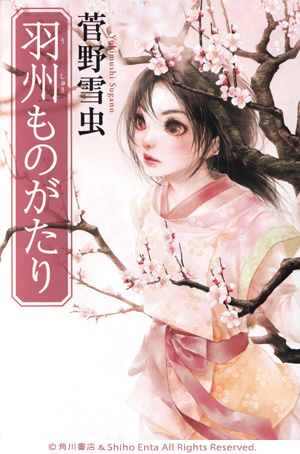 An e-book featuring the first 198 illustrations I challenged in “Hana to Yume” (a novel by Tow Ubukata, serialized in newspapers) is currently on sale by Kadokawa Shoten. I was born in Akita Prefecture in 1979. I graduated from the Faculty of Education and Culture of Akita University. After graduation, I worked as a teacher for three years, and in 2005, I got married and moved to Saitama Prefecture. After that, I started taking on illustration jobs little by little, and now I am here. I gave birth to my first child in 2011. We are a family of four with my 14-year-old pet cat and my husband. My job until now has mostly consisted of book covers for the bigger part, manga, illustrations, and others. 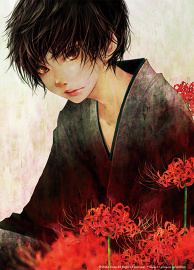 I also cover a lot of genres, from common literature to children’r;s books and light novels. I am planning to publish an image collection from Shinshokan next spring. As for software, I use Adobe Photoshop CS4 and Corel Painter 7J. I’r;d like to make some upgrades. I aim for pictures the viewers won’r;t want to stop looking at. 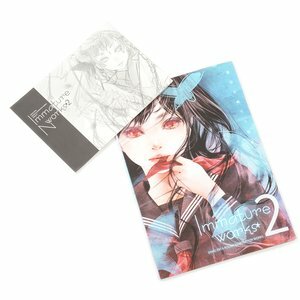 Especially when it’r;s a cover illustration, I want to make it meet the eyes of the customers standing at the shop front no matter which direction they are looking from. I also try to make the covers in a way that one can only fully grasp it after having read the book. I draw the parts of the face and hair in greater detail, and I prefer to use darker colors. Someone described my pictures with the following: &OpenCurlyDoubleQuote;Girls with eyes so clear that you could peek into their hearts.”r; Ever since, I’r;ve been using these words to introduce my pictures. 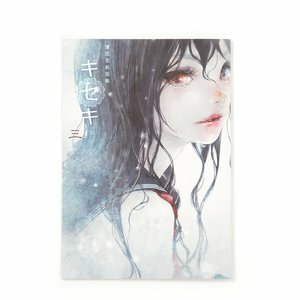 I also make doujinshi and original goods, and I participate in the Comitia display and sale events. 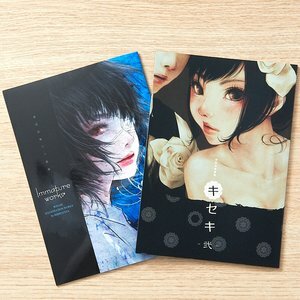 Dite is an illustrator (http://calamaio.gogo.tc/) and also my friend of 10 years, and we have a common page called techicala (http://techicala.web.fc2.com/), where we have published 20 doujinshi. Hana to Yume Electronic Visual Ver. The Pillow Book was written a little more than 1,000 years ago by Sei Shonagon. What could it be that made her write it? 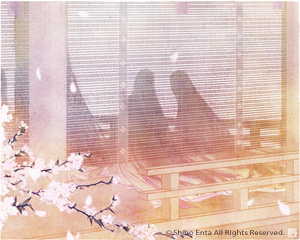 Here comes a historical novel depicting the culture of the imperial court in the Heian period and the life of Sei Shonagon in a beautiful, yet heart-shaking way! I challenged myself with the illustrations in &OpenCurlyDoubleQuote;Hana to Yume”r; (written by Tow Ubukata), a novel serialized in newspapers. In order to be able to express the graceful world of the imperial court as seen through the eyes of Sei Shonagon, I drew one illustration a day, and even though I went through trial and error, I still drew them with enjoyment. I payed particular attention when drawing the cold beauty of Empress Teishi, whom Sei Shonagon serves and feels great respect and affection toward. I did struggle with motifs that I wasn’r;t used to drawing, such as men and props, so in that aspect I gained a lot through this job. 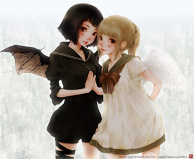 The electronic book featuring all the 198 illustrations, &OpenCurlyDoubleQuote;Hana to Yume Electronic Visual Ver.”r; has been published by Kadokawa Shoten. 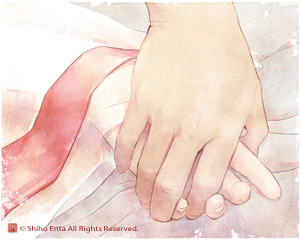 My illustrations are also being used on the site and in the PV. By all means, please take a look!